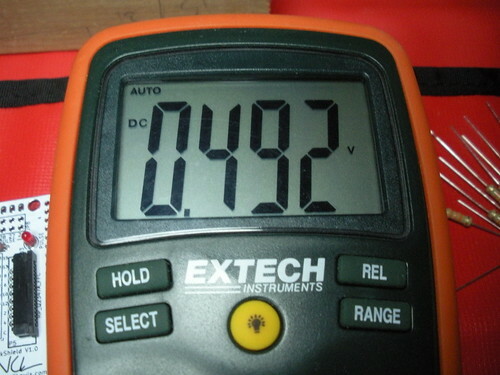 Be careful to protect the components from electrostatic discharge. 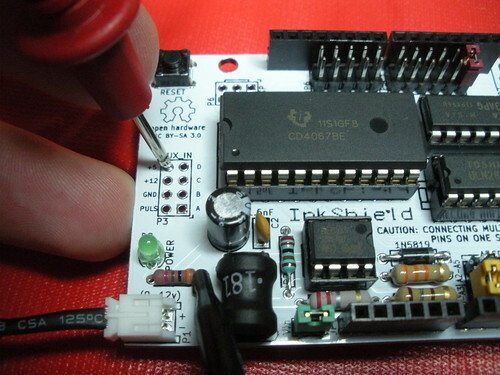 This is most critical for the ICs and the diodes. 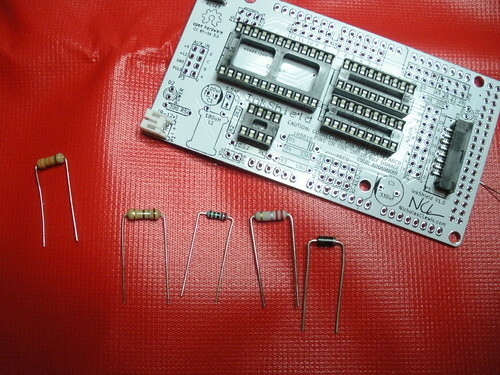 If you have not soldered before you should read a soldering tutorial. 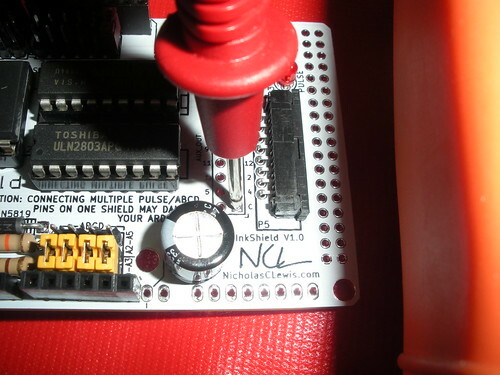 There are links to several good tutorials on the Adafruit website. 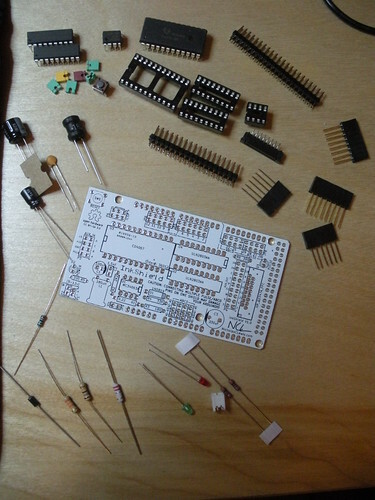 I also highly recommend the Soldering is Easy comic book by MightOhm. 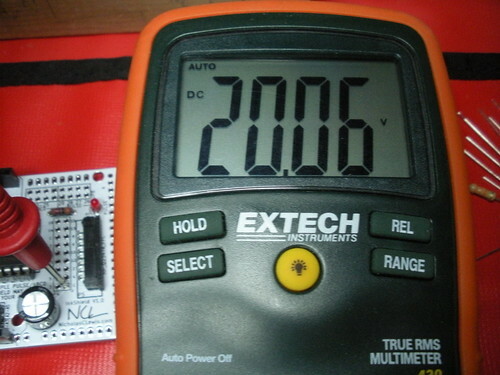 Note that kits sold after Jan 1, 2013 no longer include the small white JST power connector. 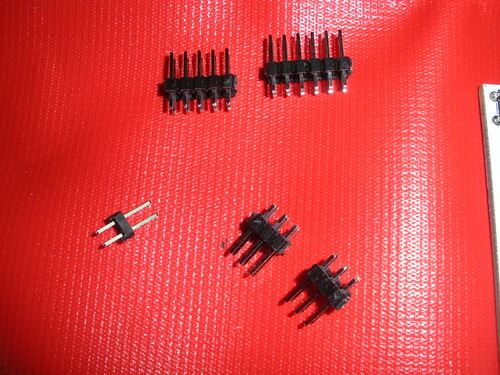 Also note that there are 6 jumpers and your kit may include multiple colors or all the same color. 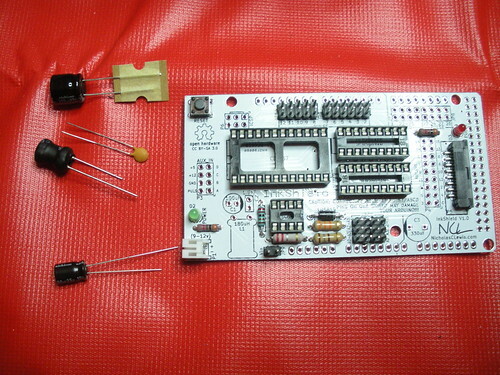 Note that kits sold after Jan 1, 2013 no longer include the small white JST power connector (lower left corner). 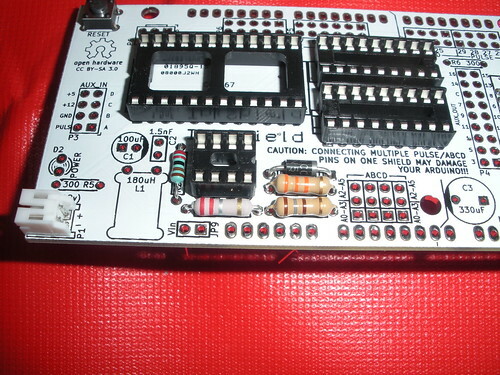 The 3x2s go on the A0-A5 jumpers and make a 3×4 total array. 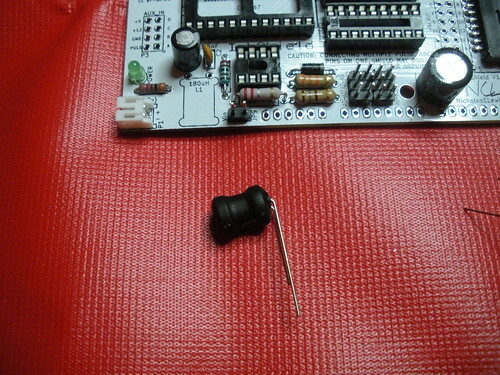 Bend the inductor leads over so that it will lay on its side on the PCB. 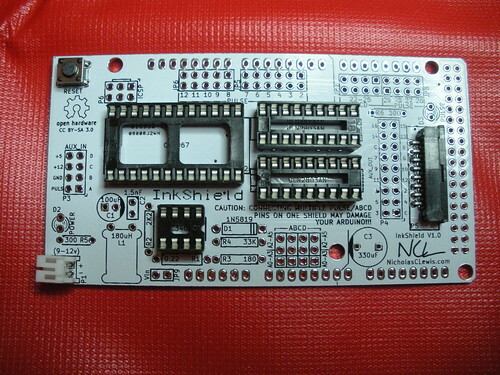 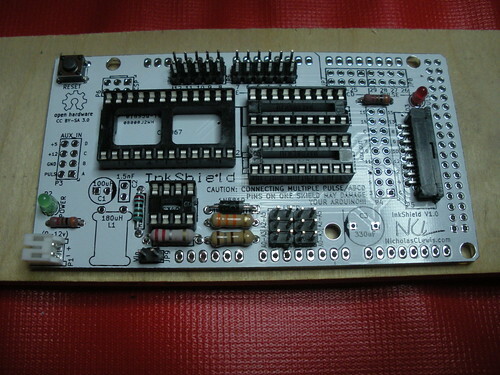 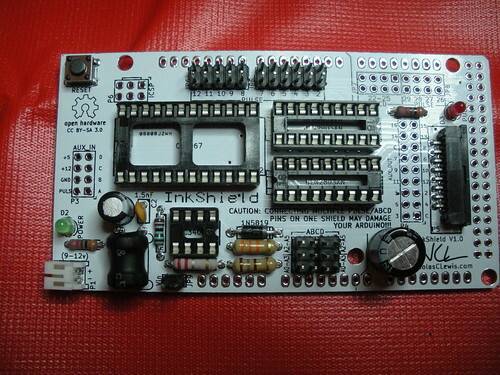 It is easiest to place the stackable headers on another shield and then place the shield on to them to solder. 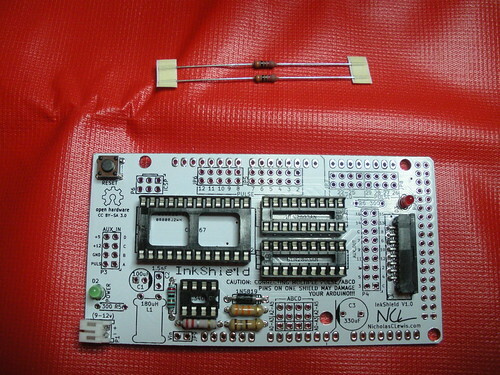 Install the ICs (again note the orientation of the ICs in the sockets the notches should line up) and the jumpers (A0-A3, 2, and Vin are good places to start, see the use page for more information). 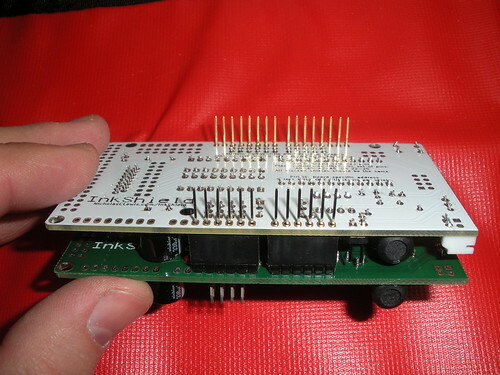 You can split the extra male headers up and install them on the aux_in, aux_out, ISP, or add them for Arduino Mega support. 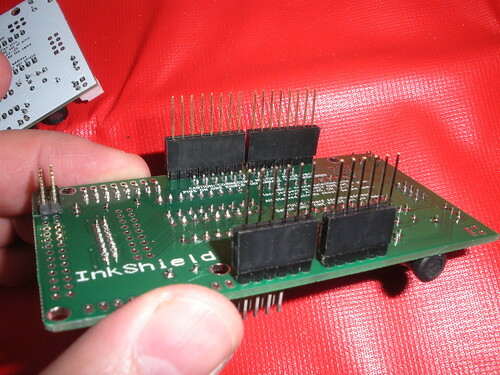 Visually ensure that you do not have any solder bridging adjacent pins. 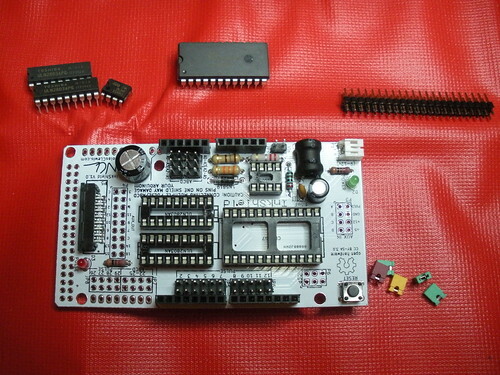 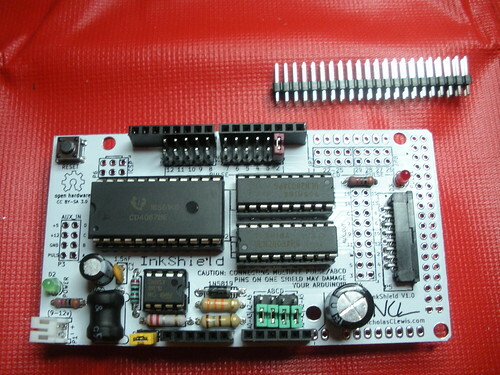 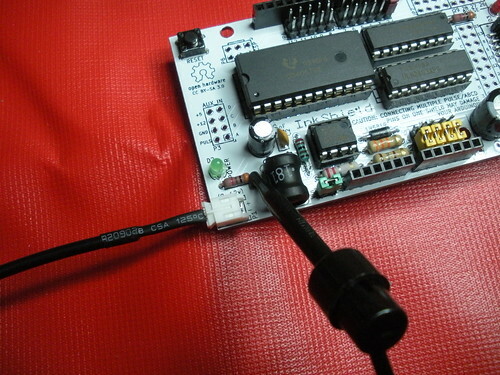 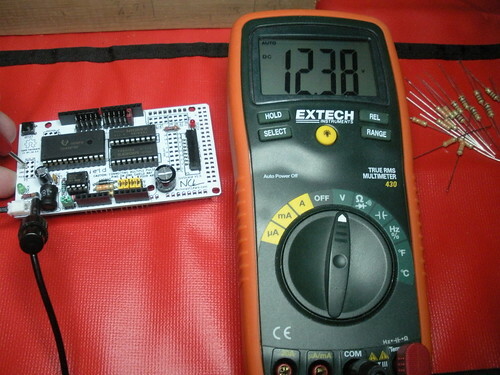 You can also check them with a multimeter to ensure that only the pins that should be connected according to the schematic are connected.